Casidra continues to maintain its clean audit status after earning its 25th unqualified financial statements for the year ended 31 March 2014. This was confirmed by the External Auditors during Casidra’s Annual General Meeting before Adv. 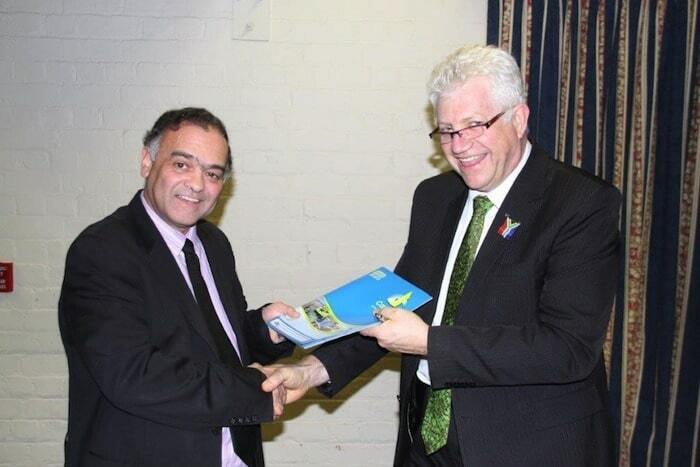 Gary Oliver, Chairperson, handed over the 2013/14 Annual Report to the Executive Authority, Minister Alan Winde. This is another excellent achievement for Casidra as a State-Owned Company, its Board, Management, staff and all external stakeholders. In his opening statement, Adv. Oliver said that this is a moment of pride, but also of some introspection. He said, “An unqualified audit report says that we can account properly for the monies entrusted to us and that we have spent funds for the purposes for which they were allocated. We trust that through our culture of accountability we have provided value to Government in its endeavours to develop rural communities. We hope that Government will continue to trust us to deliver such value”. At Casidra, clean audits have become part of our process flows that every employee abides and lives by. The Board, Management and staff are well-skilled across a broad spectrum of development activity, and everyone is focussed on exploiting these skills through involvement in networks that we hope to integrate over the longer term. They render excellent service to the Western Cape Government and its communities and live by the values of Casidra. Casidra has learnt much over 25 years and is now very well positioned to go forward confidently to achieve its full potential. Casidra achieved a level of project management excellence that is cherished by everyone who is involved with this despite many challenges, such as having to find innovative ways to enhance rural development exponentially without endangering the stability of methods that have been tried and tested. The past 25 years have not all been smooth sailing, but the challenges that we have faced have undoubtedly made us stronger and have refined the skills that we now value and nurture. Minister Alan Winde thanked the Board and staff for their contributions during the year and congratulated them on Casidra‘s achievements. “I am very pleased with the progress that Casidra made in the previous financial year and would like to emphasise the need to support entrepreneurs to grow their businesses”, said Minister Winde. He further said that the Western Cape Government’s aim is to double the economy in this Province over a 10-year period and to create jobs. The aim is to ensure that more residents in our Province benefit from these sectors. Minister Winde emphasized that Casidra will be an important partner regarding this, as the company offers crucial support to the agricultural sector and the delivering of projects aligned to the priorities of the WCDoA. “Land reform is a national risk and I am looking forward to partnering with Casidra to plot more future innovative ways in the Western Cape”, he said. Keeping the ‘Better Together’ theme in mind, Minister Winde encouraged Casidra to continue building relationships with other departments and organisations in the Western Cape. Michael Brinkhuis, Casidra’s CEO, made positive concluding remarks that the company is very fortunate to have the energetic team that is always ready to take up the challenge for rural development. He emphasised that Casidra will remain transparent and keep stakeholders well informed. “I would like thank the Casidra team for their warm welcome and support. I now feel part of the team. In conclusion, I would like to assure our Executive Authority and Accounting Authority that we will continue to do our utmost to deliver on our given mandate to contribute towards the five goals of the Western Cape Government”.